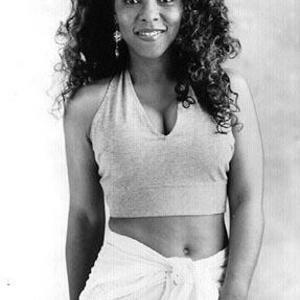 Keyboardist/singer/songwriter/arranger/musical director Patrice Rushen has had an outstanding career with several Top Ten R&B hits, including "Haven't You Heard," "Forget Me Nots," "Feels So Real," and "Watch Out." Arguably she has received much of her popularity through other acts copying or sampling her material. "Forget Me Nots" was the basis of Will Smith's "Men In Black" from the blockbuster movie of the same name on Big Willie Style and George Michael extensively used the same track for his hit 'Fastlove'. R. Kelly's "Remind Me" was sampled from her "You Remind Me," a popular radio-aired LP track from Straight From The Heart. Others who have sampled Rushen's music include Def Jeff (Rushen's "Hang It Up") Zhane ("Groove Thang") and a dance act called Daddy's Favourite who remade 'Haven't you heard' into a track called "I Feel Good Things for You". Born September 30,1954, in Los Angeles, CA, Rushen's parents enrolled her in music classes at U.S.C. when she was three. In her teens, she won a solo competition at the 1972 Monterey Jazz Festival. The attention garnered from this earned her a contract with Prestige Records. After recording three albums and becoming an in-demand session player, Rushen signed with Elektra Records in 1978. Forging an engaging jazz/R&B/funk fusion, she regularly hit the R&B charts. Her five albums for the label were Patrice, Pizzazz, Posh, Straight From the Heart, and Now. Some of these sides can be found on Haven't You Heard:The Best of Patrice Rushen. In 1993, Rushen signed with Disney's Hollywood Records. Her first and only release was the excellent Anything But Ordinary, which yielded the inspiring single "My Heart, Your Heart." Hollywood wasn't satisfied with the album and shelved it. Sindrome Records bought the rights to the album and reissued it with the single, and some LP tracks received airplay on R&B and smooth jazz radio stations. Rushen became a member of the jazz collective The Meeting, appearing on several releases. Her busy schedule includes session dates and being the musical director for several different tours and TV specials. 1997's Signature found Rushen returning to her jazz roots for this solid album of instrumentals. In fall 2000, Patrice Rushen appeared as a part of Sisters Being Positively Real, an act on Brown Baby Entertainment Group.